2. Кузнецова А.В., Данилова Т. И., Гладских О. П., Иванов А.А., Пальцев М.А. Дендритные клетки и их использование в иммунотерапии // Молекулярная медицина. 2003. № 3. С. 3-17. 3. Пальцев М.А. Введение в молекулярную медицину. Москва: Медицина, 2004. 496 с. 4. Пащенков М.В., Пинегин Б.В. Основные свойства дендритных клеток // Иммунология. 2001. № 4. С. 7-16. 5. Cтоляров Е.А., Батаков Е.А., Алексеев Д.Г., Батаков В.Е. Замещение остаточных костных полостей после некрсеквестрэктомии при хроническом остеомиелите // Гений ортопедии. 2009. № 4. С. 11–16. 6. Талаев В.Ю., Талаева М.В., Лебедев М.Ю., Воронина Е.В., Живцов О.П., Заиченко И.Е., Бабайкина О.Н. Фенотипическая характеристика классических дендритных клеток крови и их субпопуляций в норме и при остеомиелите // Иммунология. 2017. Т. 38, № 4. С. 229 – 234. 7. Тевс Д.С., Калуцкий П.В., Лазаренко В.А Нарушения иммунного и цитокинового статуса у больных хроническим остеомиелитом костей стопы // Казанский медицинский журнал. 2013. 94. №4. С. 460–463. 8. Чепелева М.В., Клюшин Н.М. Иммунологические особенности хронического посттравматического остеомиелита // Травматология и ортопедия России. 2012. № 2. С. 67–70. 9. Armbruster N.S., Richardson J.R., Schreiner J., Klenk J., Günter M., Kretschmer D., Pöschel S., Schenke-Layland K., Kalbacher H., Clark K., Autenrieth S.E. PSM Peptides of Staphylococcus aureus Activate the p38–CREB Pathway in Dendritic Cells, Thereby Modulating Cytokine Production and T Cell Priming. J Immunol., 2016, vol. 196, no. 3, pp. 1284-1292. 10. Bhattacharya R., Kundu B., Nandi S.K., Basu D. Systematic approach to treat chronic osteomyelitis through localized drug delivery system: bench to bed side. Mater Sci Eng C Mater Biol Appl., 2013, vol.33, no. 7, pp. 3986-3993. 11. Bowen T.R., Widmaier J.C. Host Classification Predicts Infection after Open Fracture. Clinical Orthopaedics & Related Research. 2005, vol. 433, pp. 205–211. 12. Byun E.H., Kim W.S., Shin A.R., Kim J.S., Whang J., Won C.J., Choi Y., Kim S.Y., Koh W.J., Kim H.J., Shin SJ.J Rv0315, a novel immunostimulatory antigen of Mycobacterium tuberculosis, activates dendritic cells and drives Th1 immune responses. Mol. Med., 2012, vol. 90, pp. 285–298. 13. Cruciani M., Etna M.P., Camilli R., Giacomini E., Percario Z.A., Severa M., Sandini S., Rizzo F., Brandi V., Balsamo G., Polticelli F., Affabris E., Pantosti A., Bagnoli F., Coccia E.M. Staphylococcus aureus Esx Factors Control Human Dendritic Cell Functions Conditioning Th1/Th17 Response. Cell Infect. Microbiol. 2017, vol. 21, no. 7, pp. 330. 14. Dumont A.L., Nygaard T.K., Watkins R.L., Smith A., Kozhaya L., Kreiswirth B.N., Shopsin B., Unutmaz D., Voyich J.M., Torres V.J. Characterization of a new cytotoxin that contributes to Staphylococcus aureus pathogenesis. Mol. Microbiol., 2011, vol. 79, no. 3: pp. 814 - 825. 15. Etna M.P., Giacomini E., Severa M., Pardini M., Aguilo N., Martin C., Coccia E.M. A human dendritic cell-based in vitro model to assess Mycobacterium tuberculosis SO2 vaccine immunogenicity, Altex, 2014, vol. 31, no. 4, pp. 397–406. 16. Filley A.C., Dey M. Dendritic cell based vaccination strategy: an evolving paradigm. Neurooncol., 2017, vol. 133, no. 2, pp. 223–235. 17. Hong S.J., Kim S.K, Ko E.B, Yun C.H., Han S.H. Wall teichoic acid is an essential component of Staphylococcus aureus for the induction of human dendritic cell maturation. Mol. Immunol., 2017, vol. 81, рр. 135-142. 18. Kinik H., Karaduman M. Cierny-Mader Type III chronic osteomyelitis: the results of patients treated with debridement, irrigation, vancomycin beads and systemic antibiotics. Int Orthop., 2008, vol. 32, no. 4, pp. 551-558. 19. Kumar G., Roger P.M., Ticchioni M., Trojani C., Bernard de Dompsur R., Bronsard N., Carles M., Bernard E. T cells from chronic bone infection show reduced proliferation and a high proportion of CD28⁻ CD4 T cells. Clin. Exp. Immunol., 2014, vol. 76, no. 1, pp. 49–57. 20. Lin Y., Okada H. Cellular immunotherapy for malignant gliomas. Expert Opin Biol Ther., 2016, vol. 16, no. 10, pp. 1265–1275. 21. McCormick S., Shaler C.R., Xing Z. Pulmonary mucosal dendritic cells in T-cell activation: implications for TB therapy. Expert Review of Respiratory Medicine, 2011, vol. 5, no. 1, pp. 75–85. 22. Naique S.B., Pearse M., Nanchahal J. Management of severe open tibial fractures. J.Bone Joint Surg., 2006, vol. 88, pp.351–357. 23. Palucka K., Banchereau J. Cancer immunotherapy via dendritic cells. Nat. Rev. Cancer, 2012, vol. 12, no. 4, pp. 265–277. 24. Romano E., Rossi M., Ratzinger G., de Cos M-A, Chung D.J., Panageas K.S. Peptide-loaded Langerhans cells, despite increased IL15 secretion and T-cell activation in vitro, elicit antitumor T-cell responses comparable to peptide-loaded monocyte-derived dendritic cells in vivo. Clin. Cancer Res., 2011, vol. 17, pp. 1984–1997. 25. Saliba H., Heurtault B., Bouharoun-Tayoun H., Flacher V., Frisch B, Fournel S., Chamat S. Enhancing tumor specific immune responses by transcutaneous vaccination. Expert Rev. Vaccines, 2017, vol. 16, no. 11, pp. 1079–1094. 26. Schindler D., Gutierrez M.G., Beineke A., Rauter Y., Rohde M., Foster S., Goldmann O., Medina E. Dendritic cells are central coordinators of the host immune response to Staphylococcus aureus bloodstream infection. Am J. 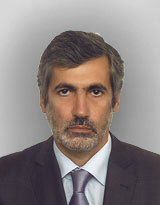 Pathol., 2012, vol. 181, no.4, pp.1327 -1337. 27. Segura Е. Review of Mouse and Human Dendritic Cell Subsets. Methods Mol Biol., 2016, vol. 1423, pp. 3–15. 28. Timmerman J.M., Czerwinski D.K., Davis T.A., Hsu F.J., Benike C., Hao Z.M., Taidi B., Rajapaksa R., Caspar C.B., Okada C.Y., van Beckhoven A., Liles T.M., Engleman E.G., Levy R. Idiotype-pulsed dendritic cell vaccination for B-cell lymphoma: clinical and immune responses in 35 patients. Blood, 2002, vol. 99, no. 5, pp. 1517–1526. 29. Tong S.Y., Davis J.S., Eichenberger E., Holland T.L., Fowler Jr V.G. Staphylococcus aureus infections: epidemiology, pathophysiology, clinical manifestations, and management. Clin. Microbiol. Rev., 2015, vol. 28, pp. 603–661. 30. Wang Y., Wang J., Meng J., Jiang H., Zhao J., Qian H., Chen T. Epigenetic Modification Mediates the Increase of LAG-3+ T Cells in Chronic Osteomyelitis, 2017, vol. 40, no. 2, pp. 414–421. 31. Wagner J.M., Jaurich H, Wallner C., Abraham S., Becerikli M., Dadras M., Harati K., Duhan V., Khairnar V., Lehnhardt M., Behr B. Diminished bone regeneration after debridement of posttraumatic osteomyelitis is accompanied by altered cytokine levels, elevated B cell activity, and increased osteoclast activity. J Orthop. Res., 2017, vol. 35, no. 11, pp. 2425–2434. 32. Wagner C., Heck D., Lautenschläger K., Iking-Konert C., Heppert V., Wentzensen A., Hänsch G.M. T lymphocytes in implant-associated posttraumatic osteomyelitis: Identification of cytotoxic T effector cells at the site of infection. Shock, 2006, vol. 25, no. 3, pp. 241–246. 33. Wu X., Xu F. Dendritic cells during Staphylococcus aureus infection: subsets and roles. Journal of Translational Medicine, 2014, vol. 12, pp. 358. 34. Yu J.S., Wheeler C.J., Zeltzer P.M., Ying H., Finger D.N., Lee P.K., Yong W.H., Incardona F., Thompson R.C., Riedinger M.S., Zhang W., Prins R.M., Black K.L. Vaccination of malignant glioma patients with peptide-pulsed dendritic cells elicits systemic cytotoxicity and intracranial T-cell infiltration. Cancer Res., 2001, vol. 61, pp. 842–847. 35. Yu J.S., Liu G., Ying H., Yong W.H., Black K.L., Wheeler C.J. Vaccination with tumor lysate-pulsed dendritic cells elicits antigen-specific, cytotoxic T-cells in patients with malignant glioma. Cancer Res., 2004, vol. 64, pp. 4973–4979. 4. Рисунок 1а. Незрелые дендритные клетки до внесения стимуляторов созревания. Нативный препарат. 5. Рисунок 1б. Незрелые дендритные клетки до внесения стимуляторов созревания. Препарат, окрашенный азур – эозином. 7. Рисунок 2б. Зрелые дендритные клетки после внесения стимуляторов созревания. Препарат, окрашенный азур - эозином. 8. Рисунок 9. Фенотип дендритных клеток пациента с хроническим остеомиелитом. 9. Рисунок 10. Фенотип дендритных клеток условно здорового донора.